Volkswagen Group South Africa has partnered with Volkswagen’s National Union of Metalworkers of South Africa (NUMSA) to launch the John Gomomo Bursary Fund. The funding for this bursary scheme comes from the Work Security Fund which provides training to retrenched employees and unemployed persons. The fund also provides scholarships and bursaries as well as adult based education (ABE) traning. The fund was named after John Gomomo, who worked as a machine tool setter at the Volkswagen Group South Africa manufacturing factory in Uitenhage. John also served as COSATU president and later a Member of Parliament until his death. The Volkswagen Group South Africa‘s John Gomomo Bursary Fund was launched last year and provides bursaries to deserving candidates. “Volkswagen has always been, is and will always be a people’s company. 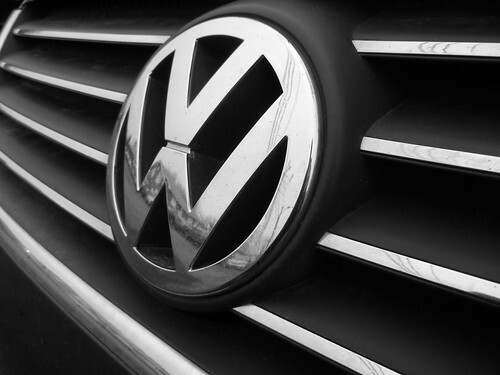 It is therefore only fitting that one of the icons that worked for Volkswagen is recognised by having his name remembered through this bursary fund jointly set up with NUMSA in his memory,” said Matt Gennrich, General Manager: Communications at Volkswagen Group South Africa. “Uitenhage, the home of Volkswagen, grapples with high numbers of unemployment. As the largest auto-manufacturer in the province, Volkswagen has, as one of its objectives, to be a company with meaning and impact. Volkswagen along with NUMSA does this through initiatives like the John Gomomo Bursary Fund,” added Gennrich. The John Gomomo Bursary Fund is open to unemployed individuals studying or wanting to study full time towards a formal tertiary qualification related to the automotive industry. Ettienne Pike, a third year logistics student at the Nelson Mandela Metropolitan University, is one of the recipients of the bursary. “I am very grateful to the fund as I would not have made this far without its support. Many of us do not have financial resources to pay for our own studies.” said Pike. The Work Security Fund also provides production based training for unemployed, young and disabled people. The training, which last for a year, is conducted at Volkswagen’s manufacturing plant in Uitenhage. The Fund has trained more than 1000 people. The training simulates real work situations on Volkswagen‘s production line and upon completion all the participants receive a certificate which they can use for job applications. Fort Hare Graduate, Lumko Nicholas of KwaLanga has also benefitted from the training provided through the Fund.